LabEye® automatically collects samples for laboratory analysis to be compared with exactly the same samples tested online by PulpEye modules. The collected samples can also be tested on properties that cannot be tested online by PulpEye modules. LabEye can be used online to pick out samples on chosen occasions, periodically, in automatic series as well as locally or from the DCS system. 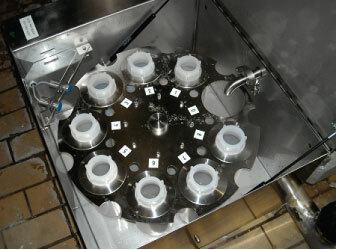 Identical samples can be analyzed in PulpEye and in the laboratory. Up to 8 samples can be saved in series. Printed label with PulpEye results for every sample if requested.